It’s getting cold here, and the temperature shock coming back from Hawaii was not pleasant. I miss the days this summer when we would grill on the beach. I thought I’d reminisce a little with this manicure. From thumb to pinky, I used Zoya Lo, Essie Tart Deco, China Glaze Yellow Polka Dot Bikini, Lime Crime Pastelchio, and Lime Crime Once in a Blue Mousse. It’s stamped with plate CH 37 from the Cheeky summer collection. I love the packaging for these stamping plates, and I really like the size. They’re really cute, but I haven’t been using them too much since it’s cold. 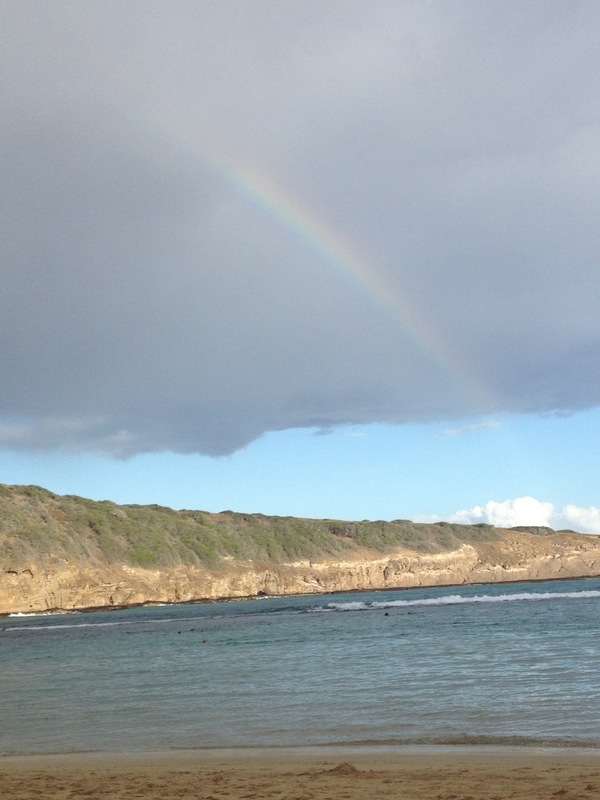 Now for a couple Hawaii photos. 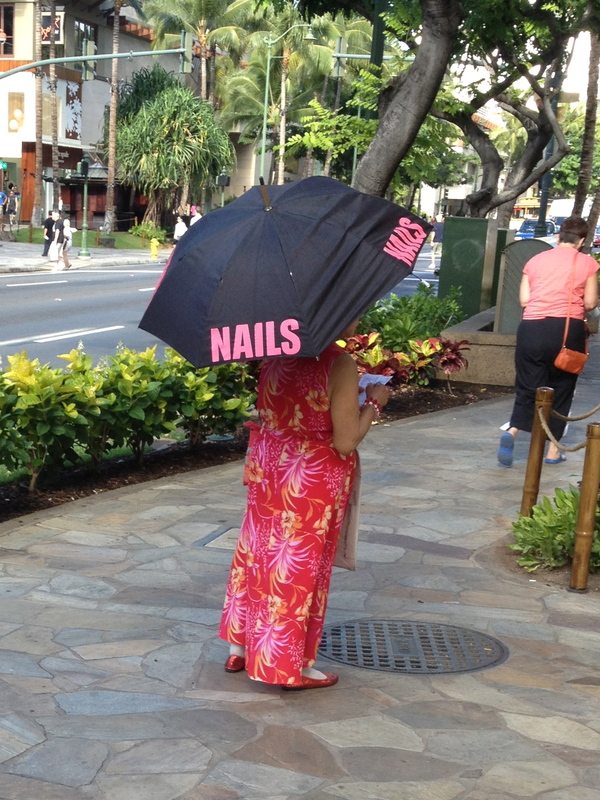 This lady was out promoting her nail salon. That umbrella is amazing. I need one.